BUILDING ON THE STRENGTH OF THE TIME | Thoughts of a Calabarboy. 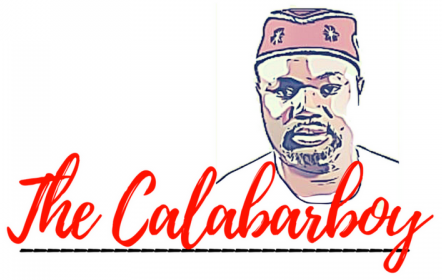 BUILDING ON THE STRENGTH OF THE TIME – Thoughts of a Calabarboy. If you look or listen around, you will feel a sudden surge in the concerns we all have for our country. Most important is that young Nigerians all over are really building interest in the Nigerian project and there seems to be an increasing passion on experiencing due changes in all facet of the nation’s existence. Every time you raise national issues in a discussion, everyone has a comment to make, and interestingly, such commentaries are loaded with intelligent submissions. Not too long ago I was talking with a few young Nigerians who have barely lived in the country. As usual the subject of Nigeria came up, especially as we have been recently characterized as a rudderless ship floating nowhere. I was astonished at the extent to which these young ones have grown more competent in understanding the complexities of the society and having their minds congealed with high opinions on what’s going on and how this can be corrected. I find this to be fascinating because only a few years ago, young people were barely interested with what was going on in the country, especially with folks living without the country. Today, everything that speaks Nigeria is basically an attempt at recreating an image for the country. From our entertainers, educators, researchers, scientists, and even social commentators, there is a word about Nigeria on everyone’s lip. On the lighter side (or maybe more serious than I think), we have suddenly become so internationally popular for differing reasons. From spinning adverts to freaky movies and to even underwear knockouts on a fateful Christmas day, Nigeria has had more than the usual dose of notoriety, which has evoked a plethora of commentaries, even from those who aforetime least mattered in the domain of public discourse. Everyone is throwing something into this seething pot and hoping that we will eat the produce thereof and be glad. This is not new in history. In fact I can point to more recent happenings in the contemporary time like the US and Iran. Young people in the US practically gave Barack Obama the presidency. They were of a generation that was barely corrupt by ideological differences, but situated within the context of powerful narratives of the present realities in their country. They went where their hearts led them despite race, colour, or belief. In Iraq it is a rebellion against the status-quo or the stronghold led by young people who are tired of being religiously manipulated and starved of the 21st century freedoms. We can see the evidence in the technological platforms through which their voices were heard globally. Check Facebook today and you will see hundreds of groups were young Nigerian are getting socially active in reaching out to each other on national matters. This clearly points to the fact that there is a kind of subtle mobilization going on. I just wonder if we are being careful to take note and capitalize on this. Let’s not forget that at some point in our not too distant history we were equally mobilized, but we let it amount to nothing. I remember that in 1993, even a new born baby could feel the hovering vibes of public discontent with the military regime, and wanted a change. This we expressed in the annulled elections. We are however experiencing a short term memory loss as we have forgotten that we allowed that strong consensus to weaken without maximizing the time. Now we are at the threshold of such powerful togetherness in a vision of what we desire for our country. What are we going to do with this? In my head I feel the pressure of the time ticking against us and compelling commensurate actions to our collective passions of the moment. I strongly believe that we should build on the strength of this time and take back our country from the hands of greedy and uncultured men. This is a time when we can enthrone a system that functions and thrives on merit, building such institutions that disregard persons but elevates principles and prevents the tyranny of a few. The 2011 elections are drawing closer. Will we allow what is to still be or will it be a case of an arrested development? Very soon, those of us who have experienced the cycles of favour, where we were given the opportunity to change things, will soon be wasted in our strength and cannot walk the green mile of sacrifice for our dear nation. So before the evening sun sets in and the darkness falls, when any little movement will be by much groping and crawling or the reset button is hit to send us back into the life of a wild society; let us not let this moment slip by. Else those who write our history in the future will be very unkind in their description of our virtues. What can we do now? Where can we begin? How do we build on this present strength? ← NIGERIA: A TERRORIST NATION? Very thought provoking. The time is now to purposefully get involved and make a difference.